The multilayered material offers stiffness and strength for stand-up capability, yet is soft and flexible to be folded or rolled. 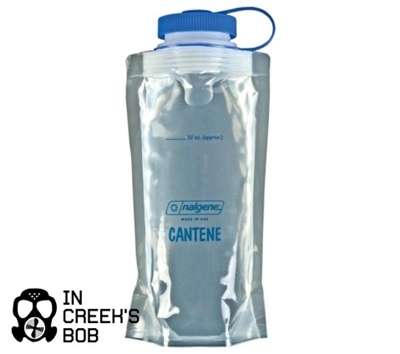 Wide mouth opening accepts ice cubes and provides easy access for cleaning. Also accommodates all major water filters. Guaranteed leakproof system with loop-top cap. Gusseted bottom stands upright. 32 ounce.